This Kindle book with amazing and powerful information unknown until now self-defense techniques will allow you to: self-defense without touching your attacker, increase your personal magnetism and improve your life. Psychic Self-Defense (vol. 2): The most powerful techniques ever revealed. Part 2. Psychic Self-Defense (vol. 3): The advanced techniques revealed. 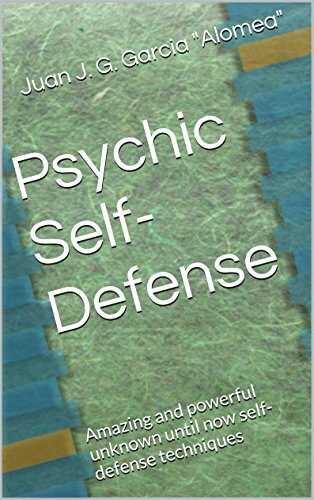 This is the Kindle version of Psychic Self-Defense: Amazing and powerful unknown until now self-defense techniques that you can also download and read on your computer and mobile phone. Kindle books are DRM protected and therefore, unlike ebooks that are in PDF or ePUB format, you cannot read this ebook without the official Kindle apps.